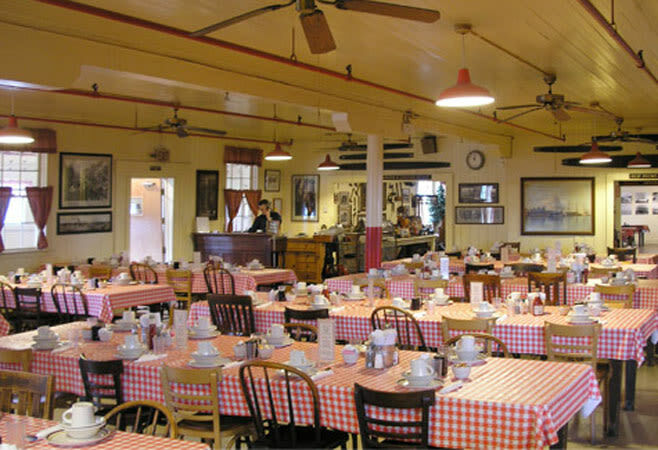 Once you walk through our door, you will take a step back into the early days of the lumber and logging industry Serving all meals "lumber camp" style since 1890, this landmark eatery is the last surviving cookhouse of the West. Your food is brought to the table in large bowls and platters, allowing you to help yourself and pass it around. We always offer seconds, so no one walks away from the table hungry. After eating in one of our traditional dining rooms, you are welcome to browse our complimentary museum full of relics and photographs from the old logging and Cookhouse days. Our walls are lined with an extensive pictorial review of this history, including the maritime industry. Tour groups are welcome. 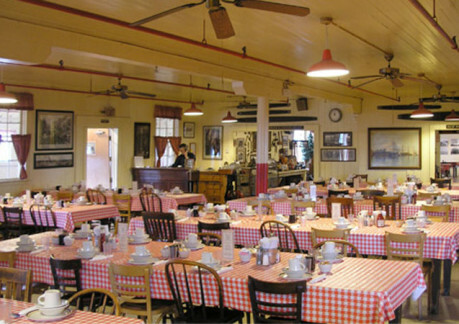 Since 1890 the Samoa Cookhouse, has been specializing in providing service to large groups. There are three private rooms, which can accommodate up to 160 people. 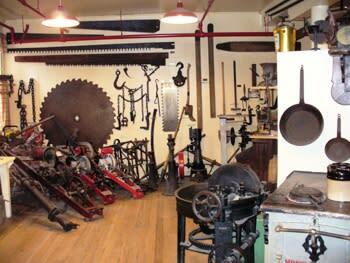 Use of the room, and audio/visual equipment are all free of charge. Directions: Take the Samoa Bridge (Hwy 255) over the Bay from Eureka, then turn left and follow the signs. Only 5 minutes from Eureka.